This is one I hear now and again, and I have a certain degree of sympathy with it. Ulster-Scots, visually speaking, is to a large extent still stuck on the shortbread tin. 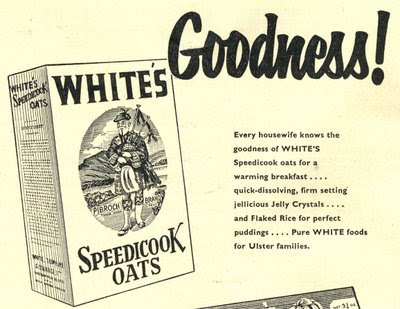 Much of Ulster-Scots cultural iconography and history has been lost over the generations - but particularly so during "The Troubles" - and so there is a need for cultural restoration, putting back the things that have been almost forgotten. For example, my parents (born at the end of WW2), grew up with all of the New Year traditions like first footing, but they didn't pass them down to us weans. From speaking to many folk over the years, this seems to be a common experience across Ulster. Consequently when cultural icons are restored, many people who are unfamiliar with the pedigree of these icons wrongly assume that they have been recently invented - or else recently imported from Scotland by people who want to create a non-Irish cultural identity for themselves. I'm not a member of a pipe band, I didn't grow up around the pipe band or Scottish country dance communities, both of which use tartan to powerful effect. But, there's not a sight that can compare with 120 pipe bands on Glasgow Green every August. Both of these cultural traditions has an authentic Ulster pedigree - the Royal Scottish Country Dance Society (Northern Ireland) was founded in 1923, and the Royal Scottish Pipe Band Association (Northern Ireland) was founded in 1950 as an umbrella body for the pipe bands, who had been holding competitions since the 1920s. Over the past few summers I've started to go to pipe band competitions, in sunshine and torrential rain, and I am mightily impressed by the dedication of the bands, their families and devoted following of spectators. 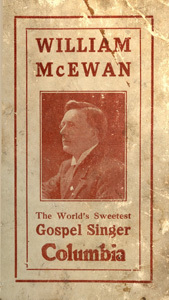 The standard of musicianship is proven year after year to be truly world class. There are more pipe bands per capita in Northern Ireland than there are in Scotland. So there clearly is a credible tartan tradition, which countless thousands of Ulster-Scots folk have worn for generations. I don't have a kilt - the farthest I go into tartanry is two pairs of knackered old Nike trainers and maybe four tartan ties. I'd feel strange covering myself in tartan now - it would feel put-on, made up. Exhibit B: press clipping from 4 November 1968, reporting on the "Fashions in Fabrics from Ulster" exhibition in London which was opened by the Duchess of Kent. Which is absolutely correct - The Montgomery Manuscripts refer to linen, wool and breakens, which in the footnotes is defined as being "tartan... commonly worn by Ayrshiremen at the commencement of the 17th century. Lady Montgomery's breakens were tartans, and the wearers... were settlers from Ayrshire...". I'm told that there were some "bog bodies" found in the peat bogs around the Peninsula side of Newtownards a generation or so ago, which are said to also have been clad in tartan. When I visited, Mr Dickson took me out to the spot where the tartan clothing was found. Growing on the very spot was a single thistle. I asked him if he'd planted it earlier that morning just to impress me! When the tartan clothing was found - a large cloak, a jacket, a pair of trews - there was huge local interest. Radio and tv crews landed in on the small farm, newspapers were full of stories about the discovery. 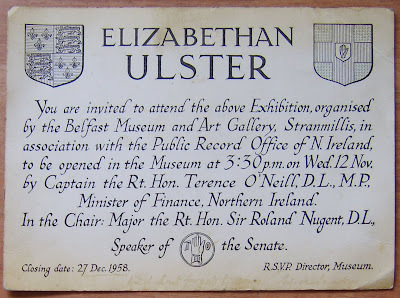 It was whisked off to the Ulster Museum for extensive testing by Audrey Henshall, who reproduced the fabric for the Museum's 1958 Elizabethan Ulster exhibition (see the invitation below), and a 23 page paper about the tartan was published in the Ulster Journal of Archaeology 1961/62 edition. Coming right up to the present, tartan was loud and proud once again last autumn - but even when high fashion welcomes tartan onto the catwalk, there's still a possibility that it's still perceived to be a cultural cliché. There are thousands of tartans today, for families, corporate organisations, and as far as I know every county in Ireland has its own tartan too. There has been a degree of commercially-minded tartan invention over the years. But for Ulster, the historical pedigree is 100% sound, from the 1600s right through the 20th century to the present day. There is no lack of historical credibility for Ulster-Scots folk to wear and enjoy tartan. Tartan in Ulster was not a 1998 post Belfast Agreement invention. b) a simple matter of fashion sense and personal taste. Robert Burns, and haggis, suffers a similar fate. There's a sound Ulster pedigree - the third edition of Burns' poems was published in Belfast, the first newspaper to print some of his works was the Belfast News Letter, his daughter moved to Dundalk and is buried there, his son spent time in Belfast, his granddaughter lived in Belfast and so on. The Ulster-Scots Community Network produced a superb booklet and exhibition back in January entitled "Burns Belfast", in conjunction with Homecoming Scotland. But I didn't go to Burns suppers when I was growing up - I'd never even heard of one. The first haggis I ever tasted was when I was about 25. At first it was strange for me, as an adult, to graft Burns onto my annual calendar - but now I'm utterly convinced of his importance and lineage. Exactly 150 years ago, in 1859, there was a Burns Festival in the Belfast Music Hall, and the Belfast Burns Club - which still exists to this day - was founded in 1872. Burns' Ulster connection is yet another example of cultural restoration - not invention - with a solid gold historical pedigree. It's very simple - like with tartan it's a matter of personal taste - you're either into Burns and all that goes with him these days, or you're not. The kneejerk autopilot mockery of Ulster-Scots by some people will continue regardless of the evidence that can be presented. For the rest of you, perhaps for whom this post is new information, read it over again a few more times, do some research, and like me you'll slowly be persuaded. For some Ulster folk, not having grown up with tartan or haggis, these can seem a bit too Scottish, a bit too clichéd, a bit too obvious to comfortably embrace as personal cultural statements. I can understand that, because I partly feel that way too. But let there be no doubt as to their historical pedigree - both are powerful, irrefutable, examples of the authenticity of Ulster-Scots identity. 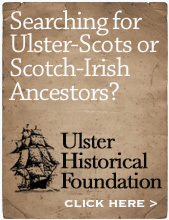 Further Reading: What exactly is Ulster-Scots? Hmmm. Food for thought. And seemingly the food is haggis. No better packing. I tend to think that we can over-intellectualise this debate. At the end of the day, the fact that I put a kilt on when I go out to play with my band doesn't make me a Scot, an Ulster-Scot or a headcase, for that matter. It probably does illustrate and inform part of my identity but even if I never felt the gentle breeze on my nether regions, I would still be an Ulster-Scot. I happen to wear a kilt (on appropriate occasions only) and have an abiding passion for haggis of all types - including the rather fine battered variety found in Scottish Chippies. Or should that be "Fish Shops"? If I choose to like/do certains things it doesn't necessarily define me. If you were to look at my itunes library, I would doubt that you could be clear whether I was British, Irish, Italian (yup, a few operatic tunes in there), French, German, American or simply odd. I am slightly uncomfortable with the feeling that by "answering" this sort of criticism, all we are doing is giving airtime to the critics. If the point is to set out the FACTUAL case for the connection between here and Scotland, more power to your elbow. However, I'll not be told by anyone that they can define my identity or that I have no right to claim the kilt, the haggis and oaty breakfast goodness as part of my heritage!! Thanks for having the courage to post a response! In general, I hope that this series of posts will put forth the case for Ulster-Scots - countering the objections that I've been mentally collating over the past while with evidence - in the hope that the wee bits of knowledge and info offered here might be useful for some folk. 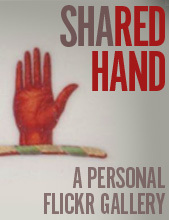 I agree that no-one can define someone else's identity or set subjective parameters. I must admit the Italian music does surprise me - but the German music is a dead giveaway... ! Good point. I am a Scots-Irish descendant living in Savannah, GA. I am over 6ft tall and have a bright red beard. I often wear the plaid. My Scots Presbyterian Ulsterman ancestor William Porter, his Scots wife and three sons left the British Plantation of Ulster and came to the Effingham Co.,GA back-country in 1764. I find the Dungiven tartan/costume fascinating. Ulster during and after the reign of King James I, was a bustle with the Scots, English and Irish. The Scottish trews, English doublet and Irish mantle that they found in Dungiven in the 1950s explains the weaving of our ethnicity in a tangible way. As a side note from 1859 until 1969 there was a Robert Burns Cottage/Society in Macon, GA. Every year a Robert Burns parade was held in that city. Both my father and grandfather often attended. There is also an 18th century Tarlbaton/Dumfries Bible that the poet Robert Burns swore a Masonic oath on in the Macon Grand Lodge Museum as well. All Ulster descendants should were the Ulster tartan with pride.